The Satguru is the most precious. You can be eternally connected with Him, life after life, after life, after life, until your Journey is complete. Then you merge, submerge, Total Merger... I am That. And That is what you are. "Since I had the privilege and opportunity to have come to the feet of the Master, I lost all interest in the world. I no longer enjoy the worldly delights; instead I drink the nectar of His Wisdom." In celebration of Guru Purnima we are offering an incredibly precious and rare audio of Sri Svamiji speaking accompanied by music. 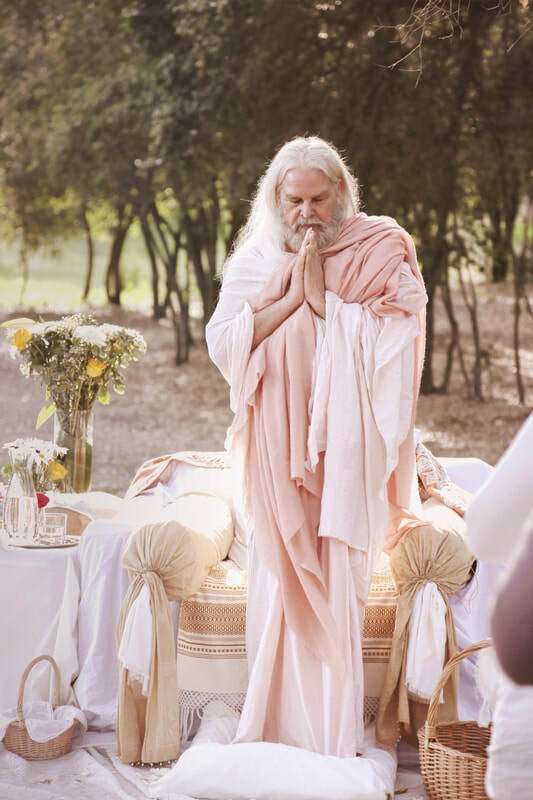 This offering is a meditation and commitment of the Satguru to walk with us on the eternal Journey as well as an invitation for us to renew our commitment as Sadhakas. As Sri Svamiji has said recently, Guru Purnima is not only a time to honor the Satguru and the Teachings but to also consider our growth, our dedication to walk the Path, and our contribution to the Higher Work and Divine Plan. If you would like to make a Guru Purnima donation offering for this audio you can do so by clicking the Donation Offering button just below. Or if you would like, enroll in our new Guru Dakshina offering, you can select a donation amount that will be automatically deducted from your account each month. Further details are in the Guru Dakshina section just below. The audio is available via the button below. You will go through the checkout process; however, there will be no charge for this transaction. Once the transaction is completed, you will receive an email receipt with the audio download shortly after the checkout process is completed. "The Satguru is here to Disseminate the Knowledge". Dakshina is where one makes an offering to one’s Guru in recognition of and gratitude for receiving the Teachings to better one’s life journey. This offering is a symbol of devotion and loyalty and commitment to follow the Teachings. Typically Dakshina is 10% of earnings and can be offered as a routine monthly donation. In essence, Dakshina becomes an ongoing spiritual practice that opens up a flow of energy benefiting one’s life and path. We have launched an automatic draft for those who wish to offer monthly Dakshina donations. These donations will support the ultimate Mission of the Adhyatmik Foundation which is to support the Dissemination of Sri Svami Purna's Teachings. If you would like to offer a specific amount not listed in the dropdown menu please contact us and we can arrange that for you. you are Divinity, you are Whole."